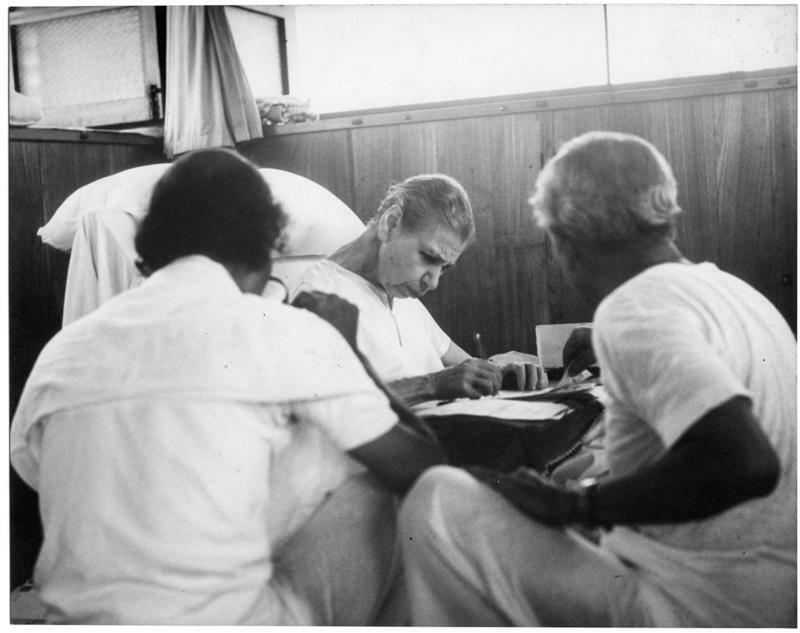 Amrita was the name given by Sri Aurobindo to Karlapakam Aravamudachari Iyengar (19.9.1895—31.1.1969), a Tamil Brahmin who became a close disciple of Sri Aurobindo whom he had met in 1912. 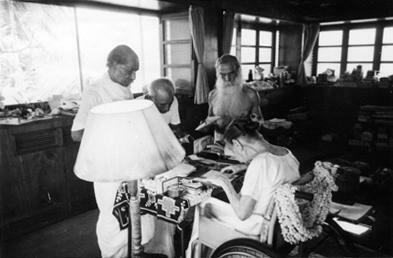 He was the Manager of Sri Aurobindo Ashram and later became one of the first Trustees of Sri Aurobindo Ashram Trust. He is remembered for his delightful sense of humour. 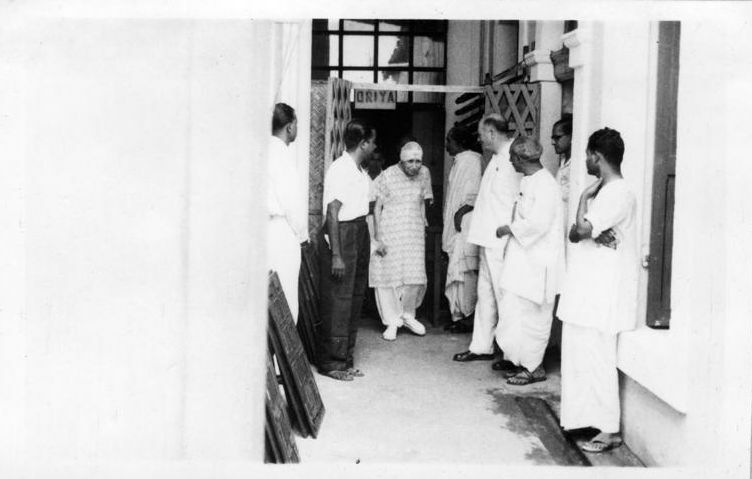 31 January 2019 marks the fiftieth death anniversary of K. Amrita. 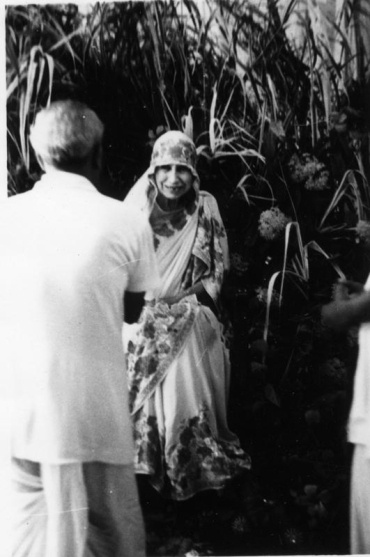 As our humble homage to him, fifty-five photographs of K. Amrita with the Mother taken on various occasion have been published in the online forum of Overman Foundation. 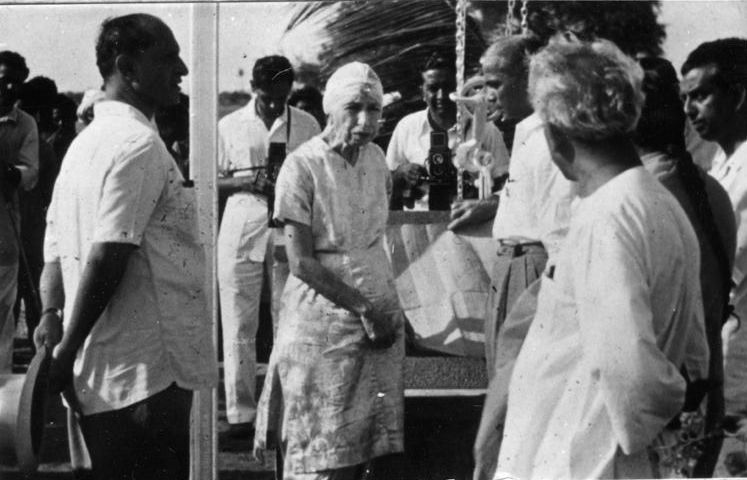 The Mother on 6 January 1952 after inaugurating the Centre of Education. 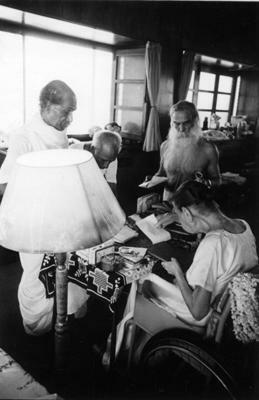 Amrita is seen on the extreme right. 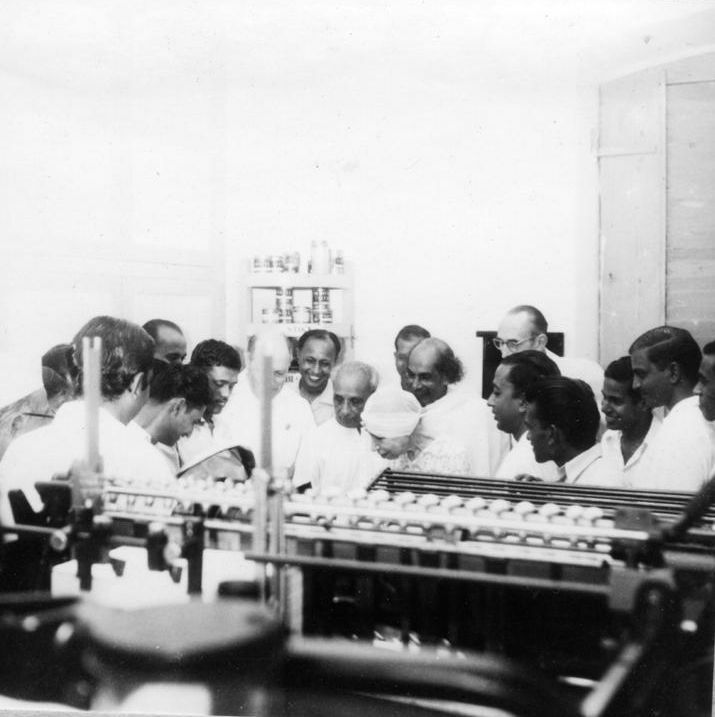 Also seen in this photograph: Lilou, Khirod, Chum Ganguli, Sisir Kumar Mitra, Udar Pinto, Pavitra, Chandrakant, Amiyo Ranjan Ganguli, Narendra Jauhar, Jugal Kishore Mukherjee, Jyotin, Dr. Nirodbaran Talukdar, Vishwanath Lahiri, Dyuman and P. Counnouma). 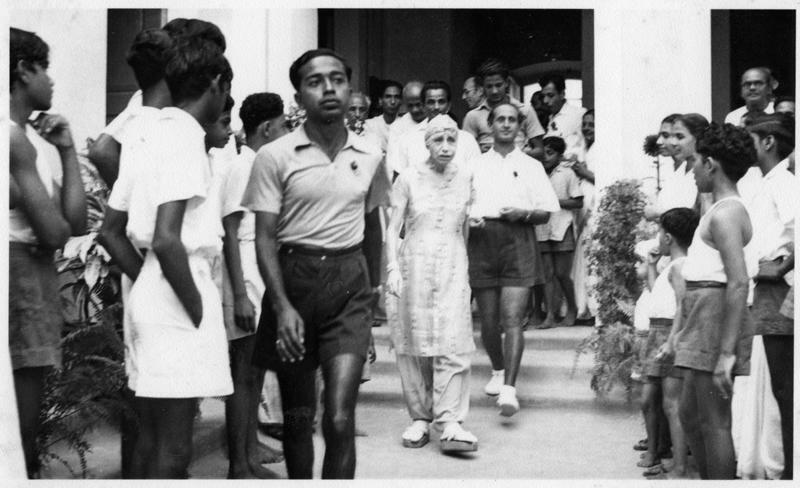 The Mother is seen leaving after the inauguration of the University Centre on 6 January 1952. 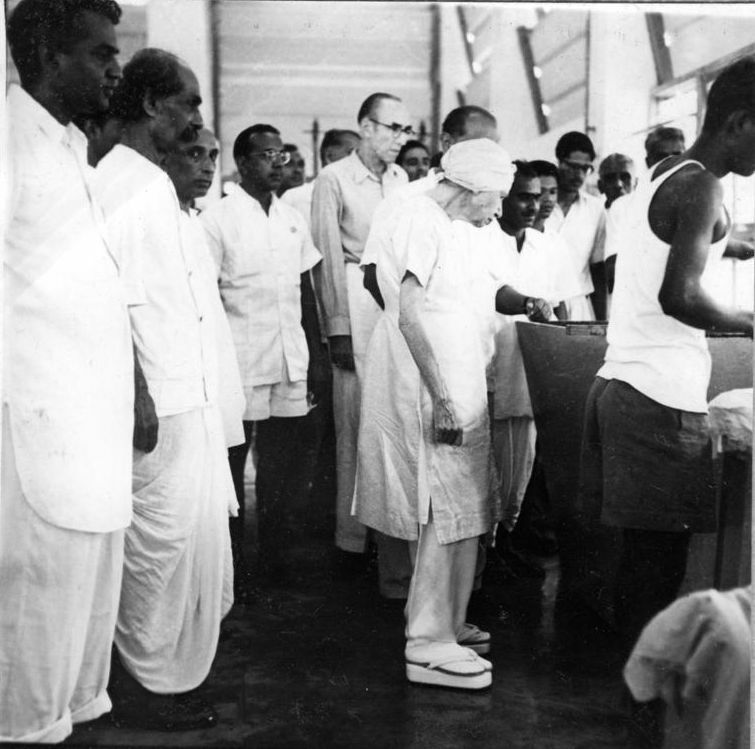 Also seen with Her Amiyo Ranjan Ganguli, Udar Pinto, Amrita, Sisir Kumar Mitra, Annapurna, Sulochana and Vijendra). Same as above. 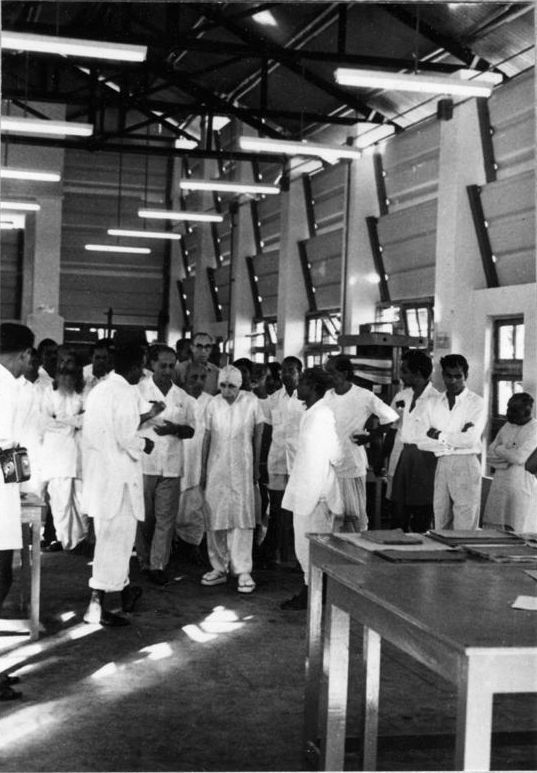 Also seen with the Mother: Jitendra, Amiyo Ranjan Ganguli, Amrita, P. Counnouma, Sisir Kumar Mitra, Chandrakant, Pavitra, Deb Kumar Sarkar, Soli Albess, Suprabha Nahar and Vijendra. 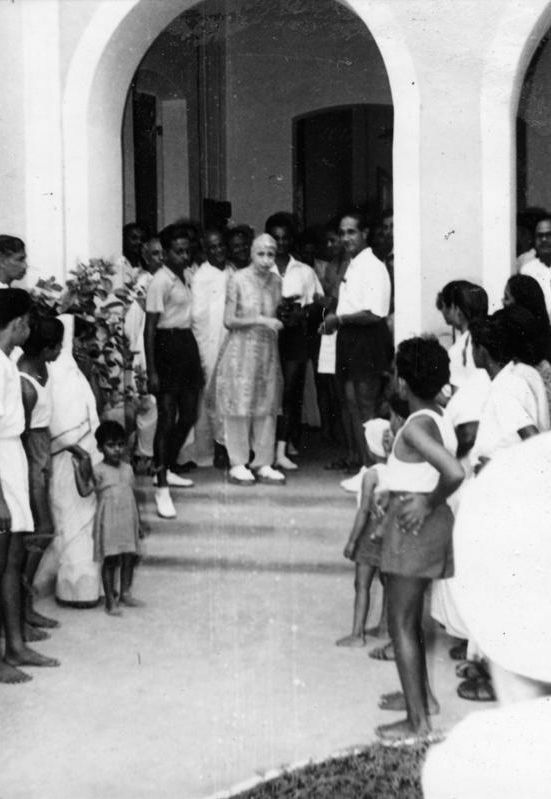 The Mother on 24 April 1952 at the Sri Aurobindo International Centre of Education. 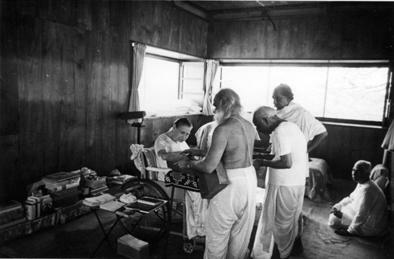 Also seen with Her: Udar Pinto, Sisir Kumar Mitra, Amrita, Medhananda, Chandubhai, Santosh, Ambabhikshu, Charu Chandra Mukherjee alias Bula). Same as above. 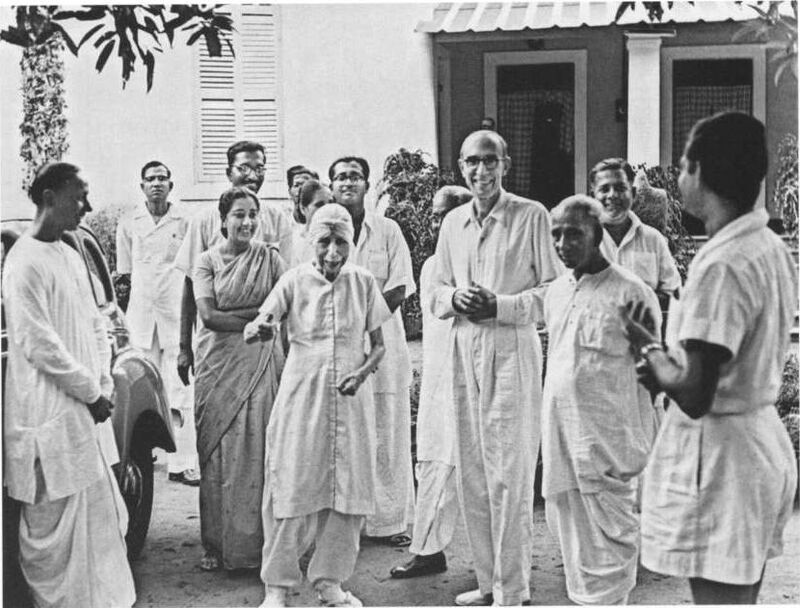 Also seen with the Mother are: Amiyo Ranjan Ganguli, Chandrakant, Santosh, Udar Pinto, Khirod, Amrita, Charu Chandra Mukherjee alias Bula. 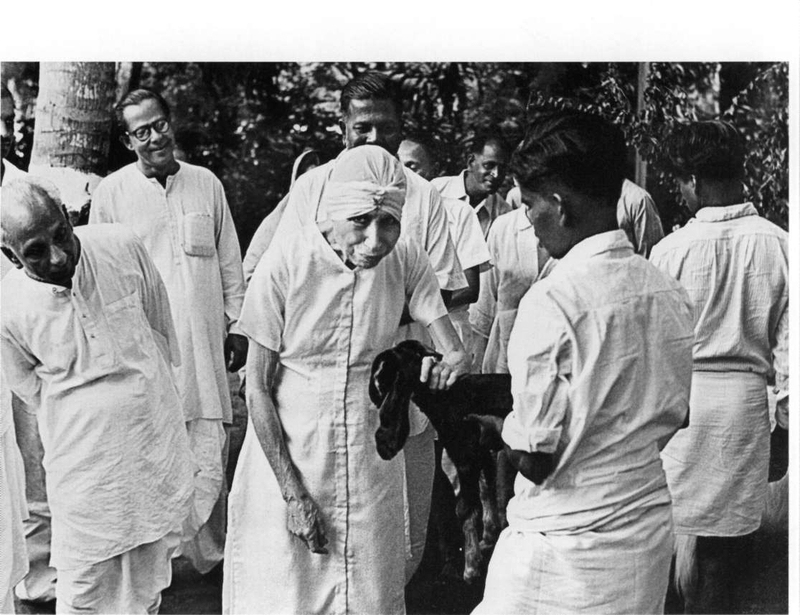 The Mother with Medhananda, Deb Kumar Bhattacharya, Amrita and Pavitra in December 1952. 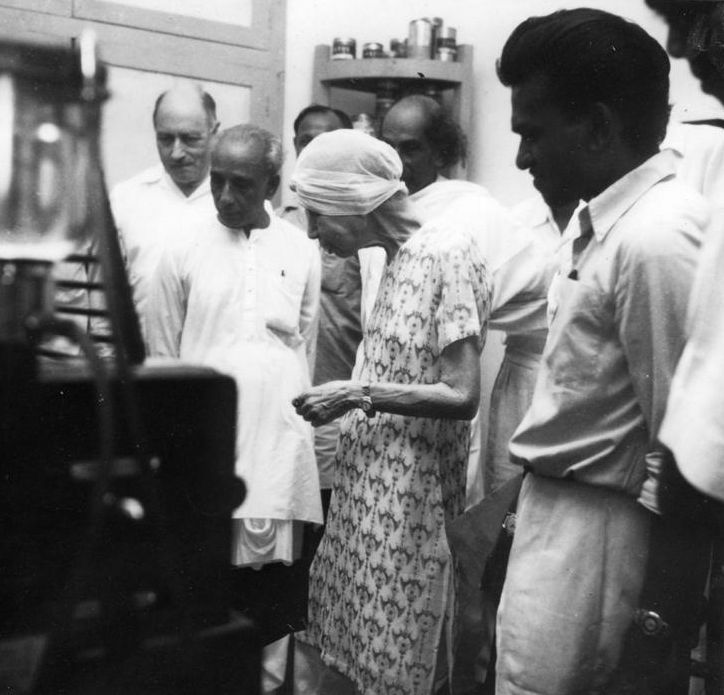 The Mother at the Atelier on 12 October 1954 with Amrita, Nolini Kanta Gupta, Pranab Kumar Bhattacharya, Pavitra and Udar Pinto. 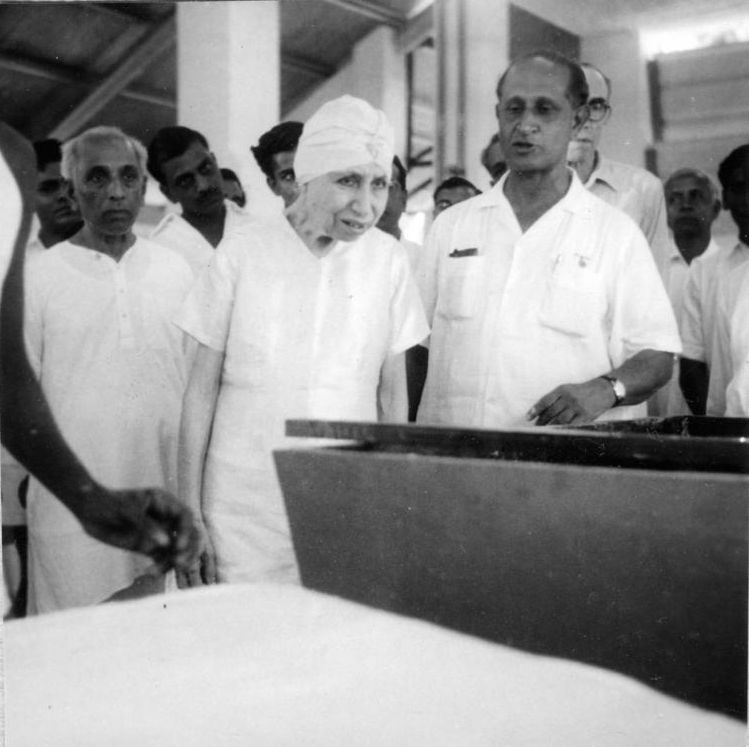 The Mother at the Exhibition Hall on 20 February 1956. 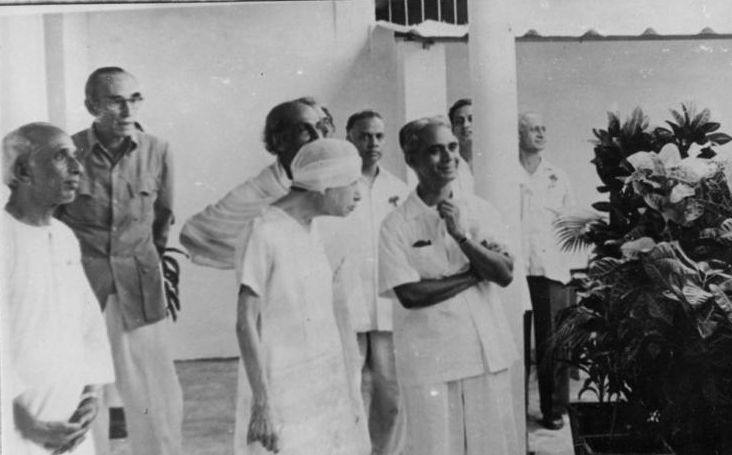 Also seen with Her are: Surabhi, Ichcha, Madhav Pundalik Pandit, Nolini Kanta Gupta, Amrita and Pranab Kumar Bhattacharya. Same as above. 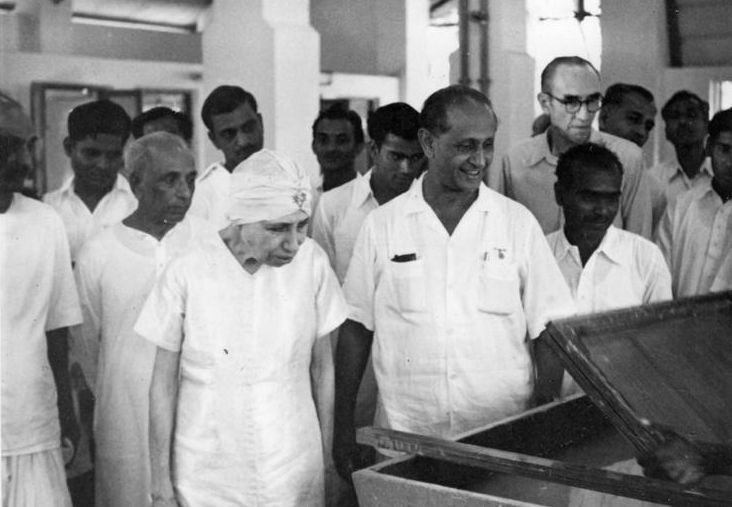 Also seen with the Mother: Sehra Sethna, Pranab Kumar Bhattacharya, Vasudha Shah, Nolini Kanta Gupta, Pavitra, Chimanbhai Patel, Amrita, Jayantilal Parekh, Chandrakant and Madhav Pundalik Pandit. 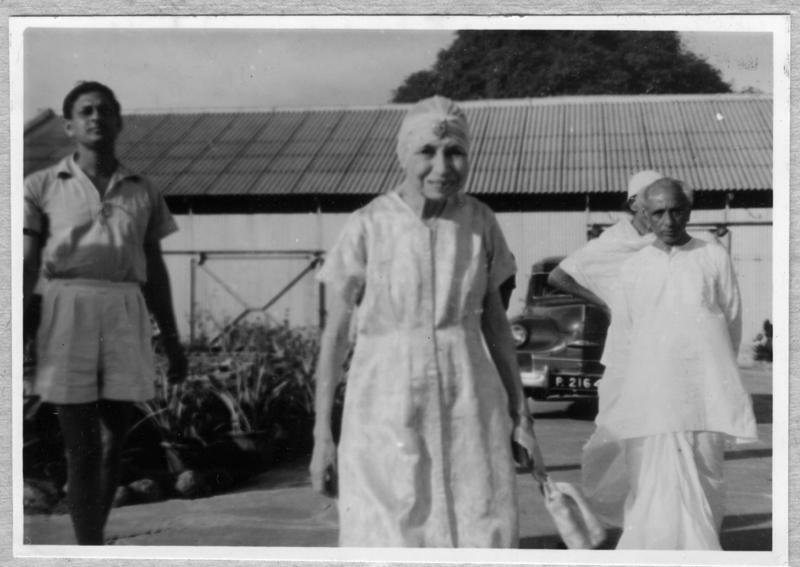 The Mother at the New Horizon Sugar Mill on 12 April 1959. 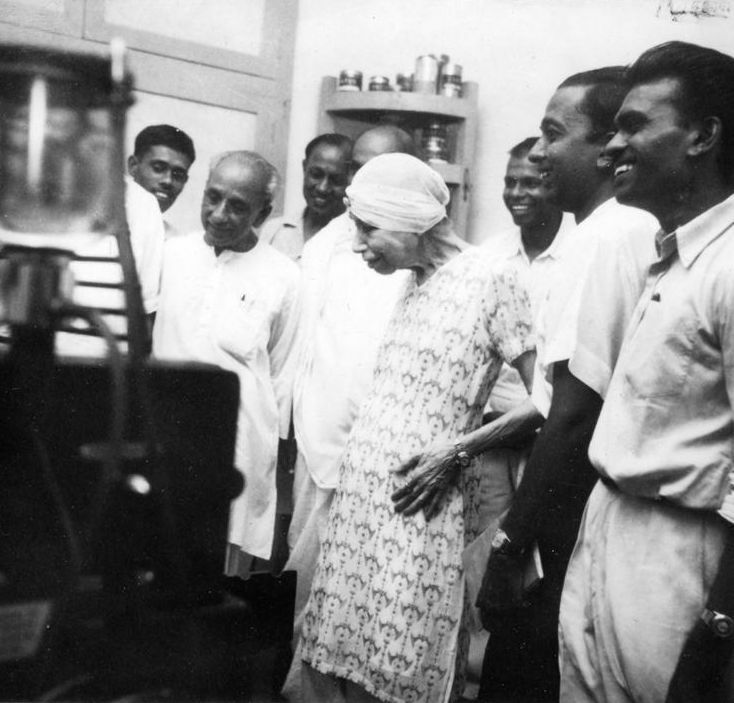 Also seen with Her: Madhav Pundalik Pandit, Liloo, Vishwajit, Udar Pinto, Amiyo Ranjan Ganguli, Laljibhai Hindocha, Amrita, Pathak, Nolini Kanta Gupta and Wilfy Pinto. Same as above. 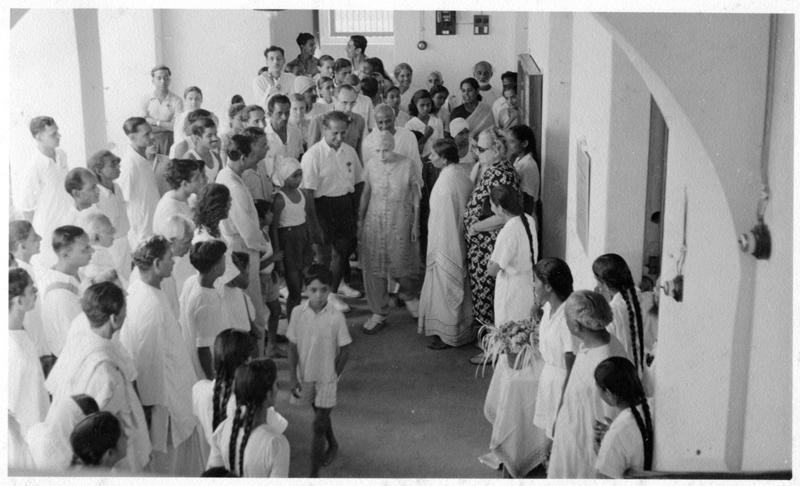 Also seen with the Mother: Amrita, Laljibhai Hindocha, Wilfy Pinto, Mukta, Amiyo Ranjan Ganguli and Udar Pinto. Same as above. 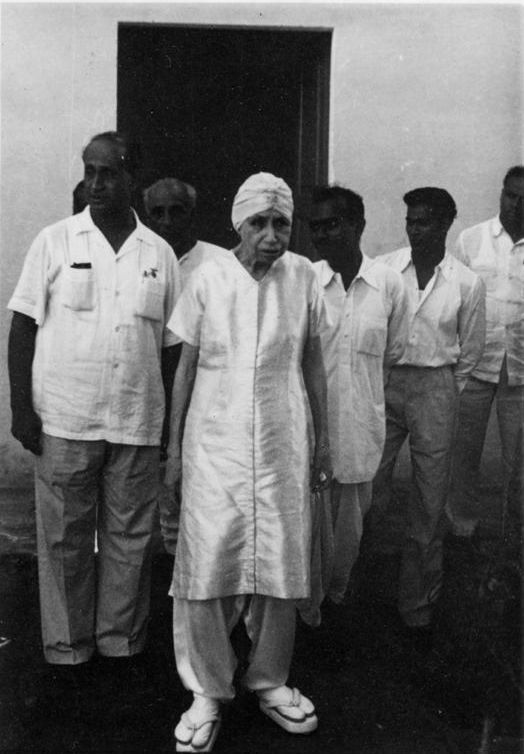 The Mother is seen here with Laljibhai Hindocha, Amrita and Udar Pinto. Same as above. 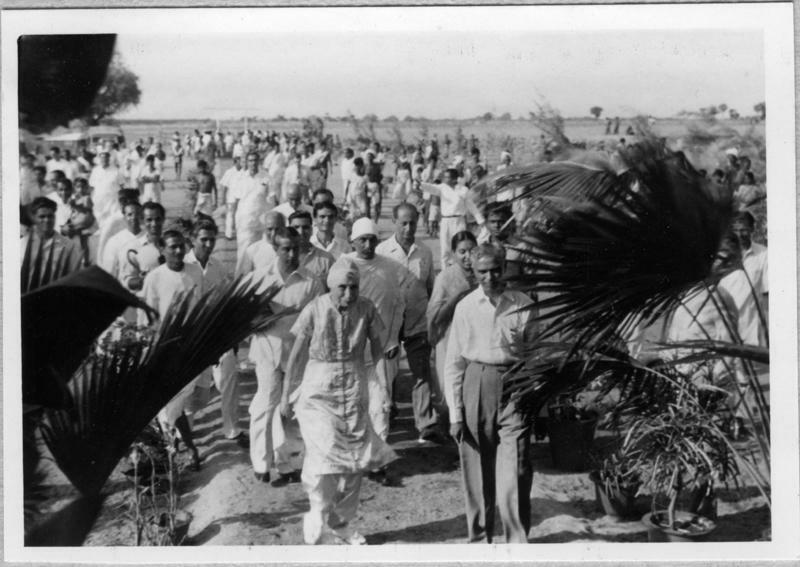 Also seen with the Mother: Laljibhai Hindocha, Mukta, Udar Pinto, Nolini Kanta Gupta, Amrita, Pathak, Dayabhai, Kesarimal and Chandrakant. 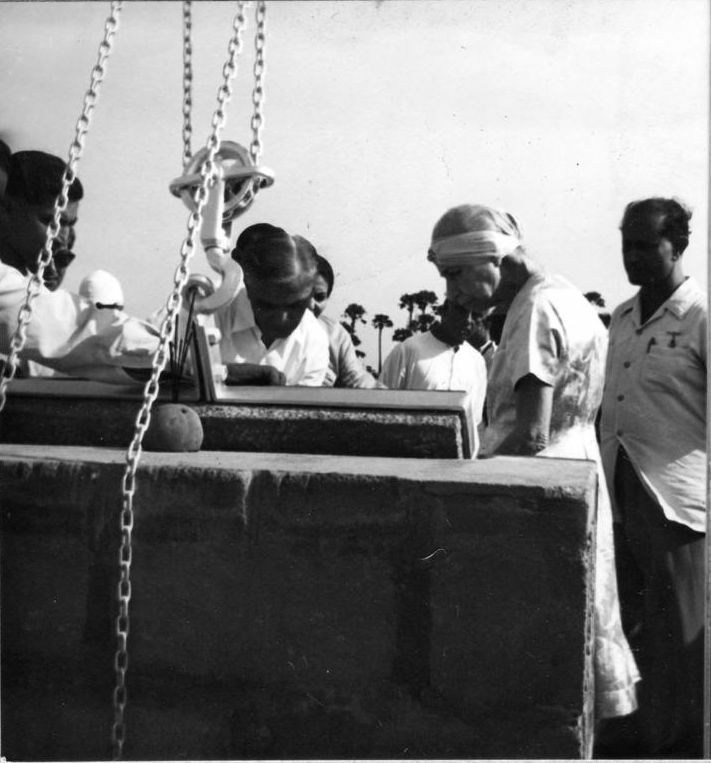 The Mother on 5 December 1959 with Amrita, Bindubabu and Manoranjan Ganguli. Same as above. 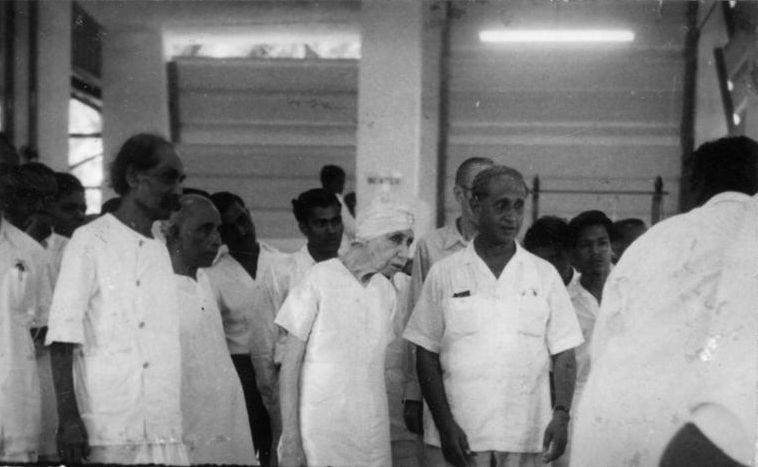 Also seen with the Mother are: Dayakar Reddy, Amrita, Bindubabu and Diana. Same as above. Also seen with the Mother: Barin Ganguli, Amrita, Bindubabu and Manoranjan Ganguli. Same as above. Also seen with the Mother: Barin Ganguli, Amrita, Bindubabu, Manoranjan Ganguli and Diana. Same as above. 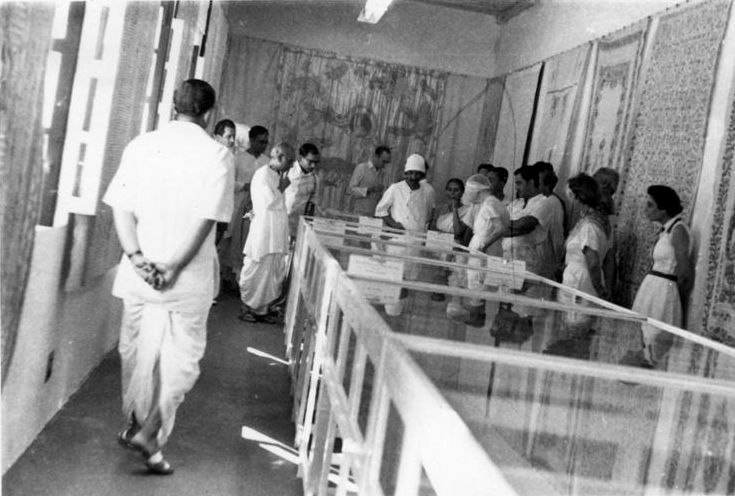 Also seen with the Mother: Manoranjan Ganguli, Diana, Bindu, Amrita, Dayakar Reddy, Dr. Prabhat Sanyal and Nolini Kanta Gupta. Same as above. 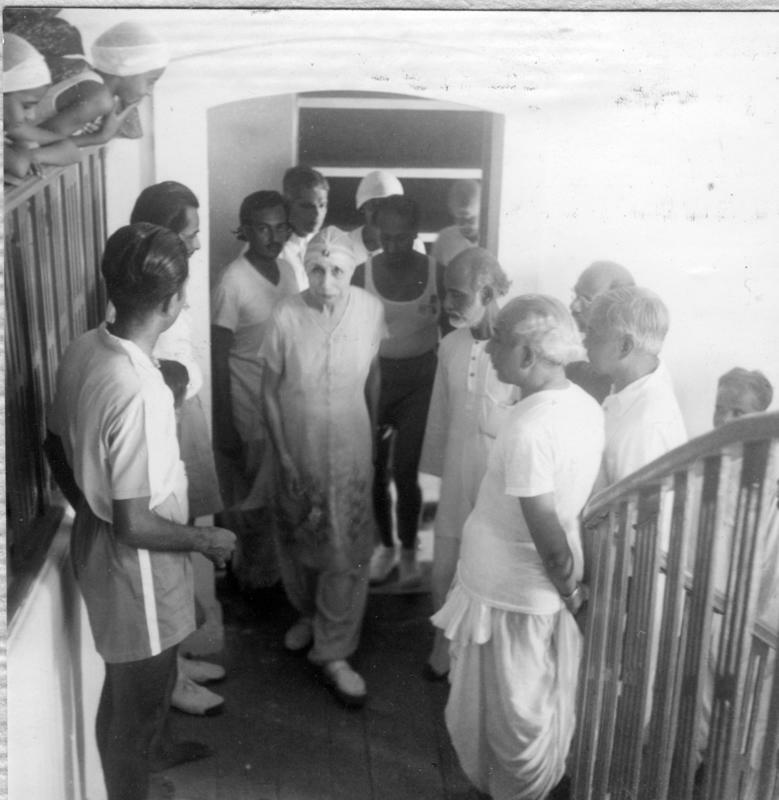 Also seen with the Mother are Vishwanath Lahiri, Madanlal, Arun Ganguli, Barin Ganguli, Gauri Bhattacharya, Pavitra, Amrita, Manoranjan Ganguli and Abhay Singh Nahar. 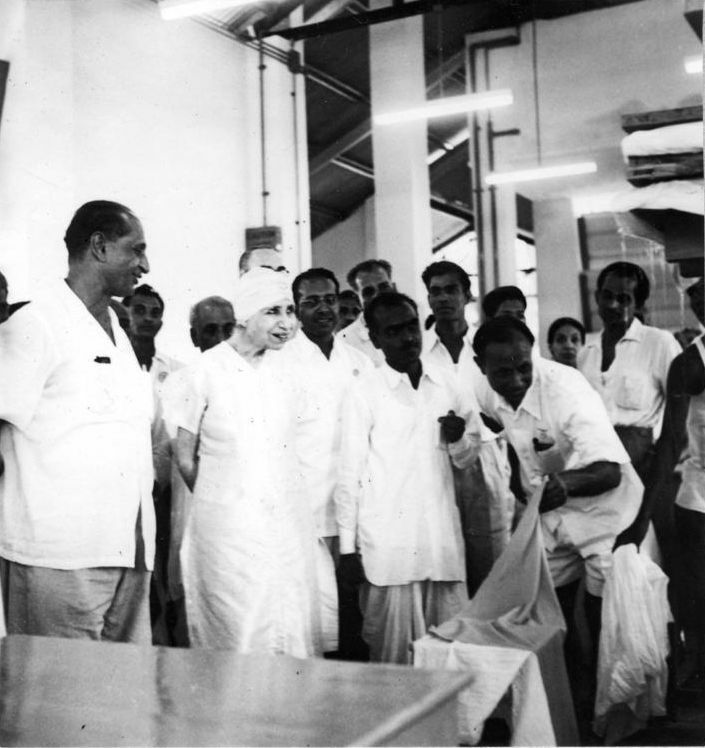 The Mother at the Handmade Paper Factory on 9 December 1959 with Udar Pinto, Madan, Amrita, Vishwanath Lahiri, Kiran, Chandrakant, Akki and Pavitra. Same as above. Also seen with the Mother are: Nolini Kanta Gupta, Dayakar Reddy, Amrita, Deshpande, Prabhakar and Udar Pinto. Same as above. Also seen with the Mother are Nolini Kanta Gupta, Pavitra, Amrita, Madan and Togo alias Dhritindranath Mukherjee. Same as above. 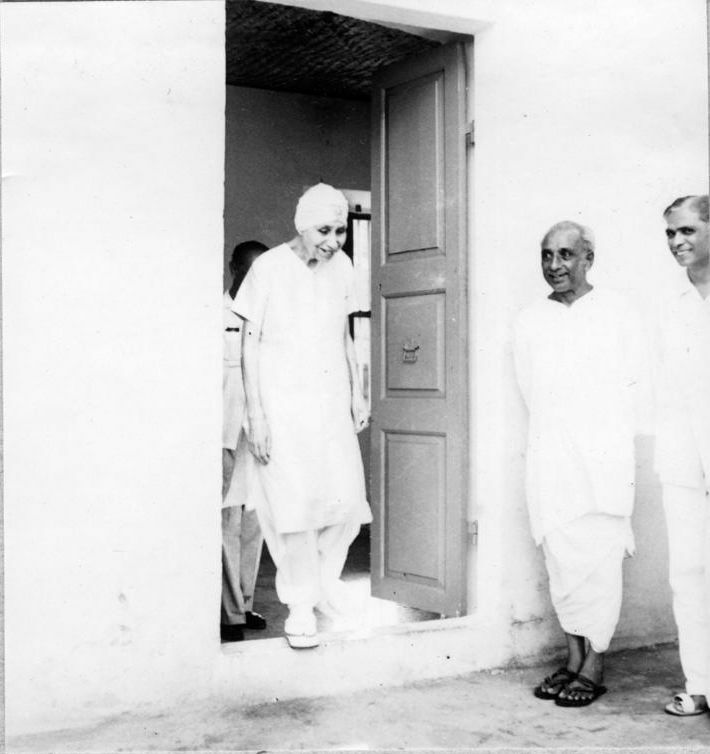 The Mother is seen with Amrita and Pavitra. Same as above. Also seen with the Mother are Amrita, Dayakar Reddy, Udar Pinto and Pavitra. Same as above. Also seen with the Mother are Udar Pinto, Amrita, Pavitra, Madan, Nolini Kanta Gupta, Chandrakant and Prabhakar. Same as above. 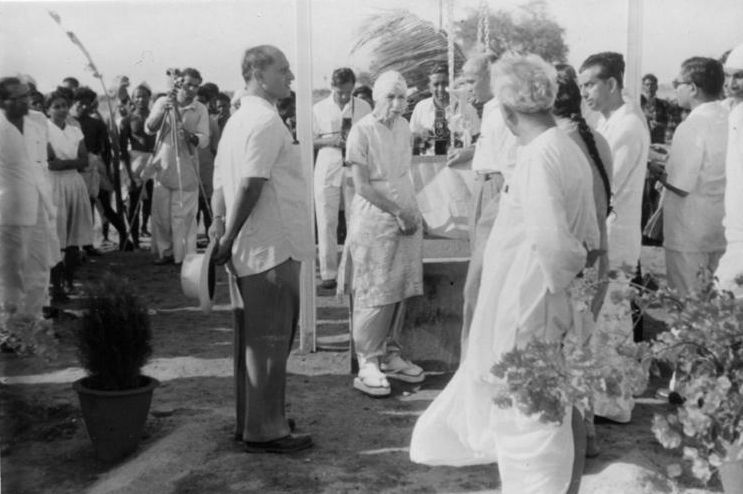 Also seen with the Mother are Amrita and Laljibhai Hindocha. Same as above. Also seen with the Mother are: Nolini Kanta Gupta, Amrita, Prabhakar, Udar Pinto, Pavitra, Panu and Lakshmipati. Same as above. Also seen with the Mother are Robi Ganguli,Amrita, Akki, Pavitra, Udar Pinto and Sitangshu. Same as above. 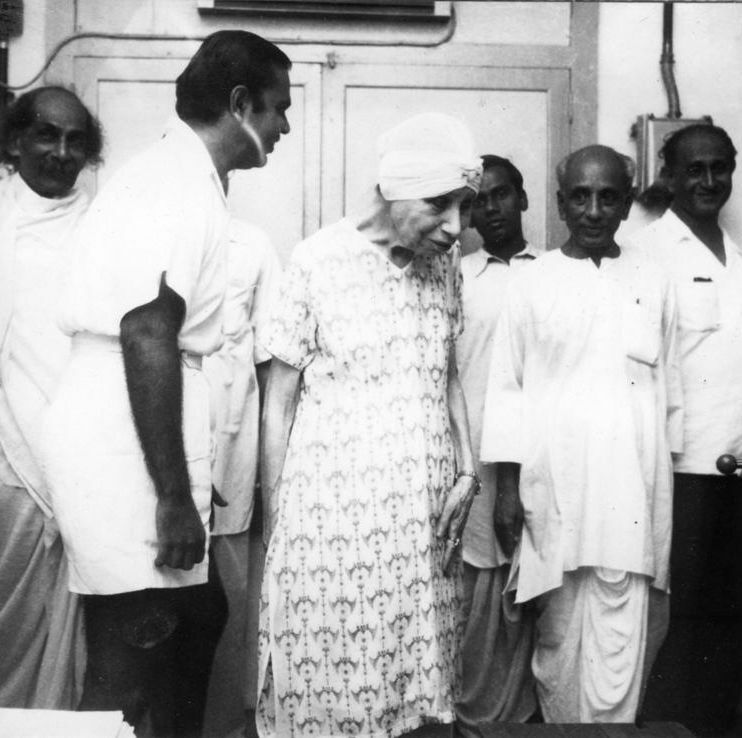 The Mother is seen with Udar Pinto, Amrita, Kiran, Prabhakar and Navajata. 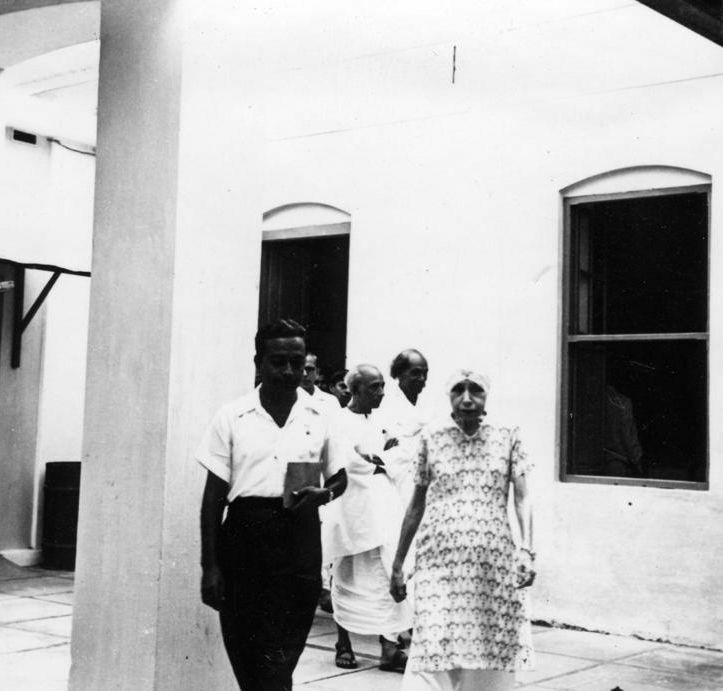 The Mother in Her apartments on 4 January 1960 with Nolini Kanta Gupta and K. Amrita. 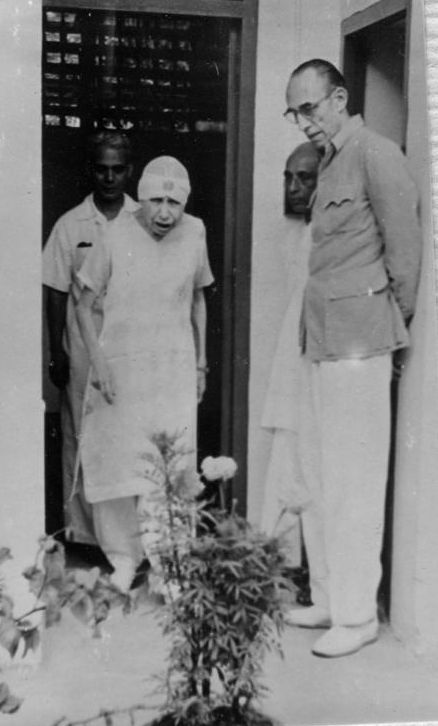 The Mother at the Ashram Theatre on 25 December 1960 with Amrita and Abhay Singh Nahar. 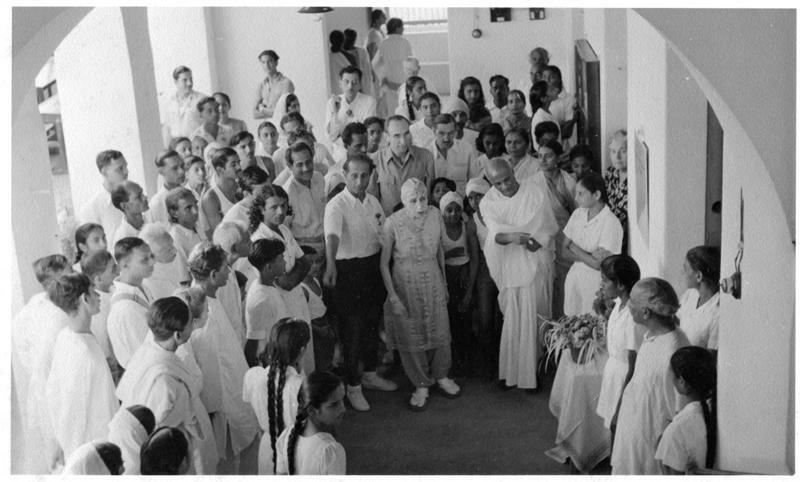 The Mother at the Ashram Press on 23 August 1961 with Her son Andre Morisset, Amrita and Nolini Kanta Gupta. Same as above. 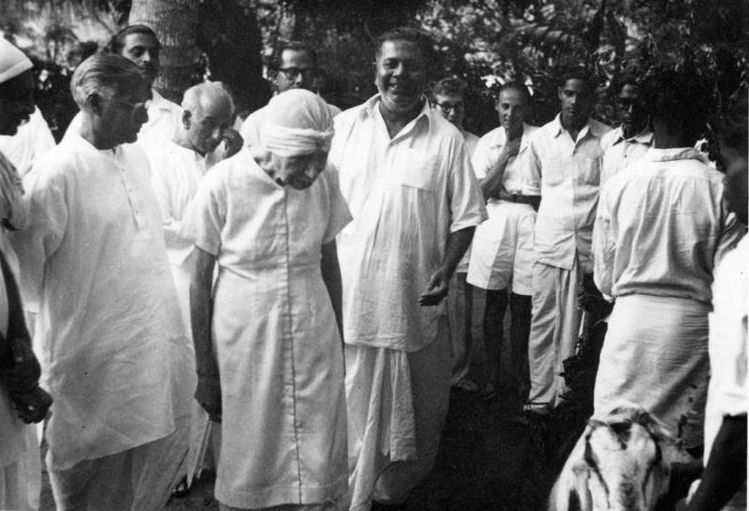 Also seen with the Mother: Amrita, Vishwanath Lahiri, Amiyo Ranjan Ganguli and Prapatti. Same as above. 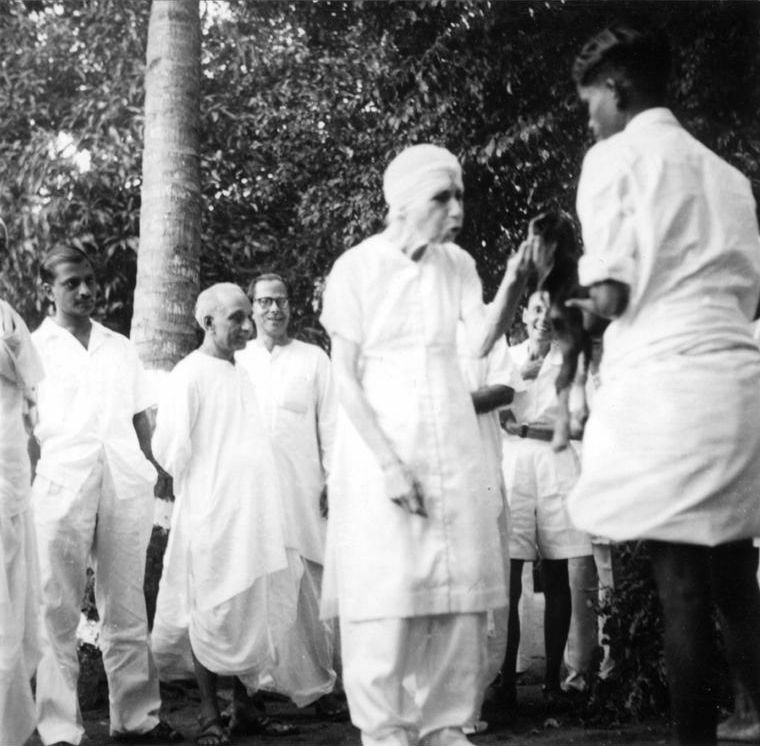 Also seen with the Mother: Amrita, Madav Pundalik Pandit, Andre Morisset, Nolini Kanta Gupta, Amiyo Ranjan Ganguli and Prapatti. Same as above. 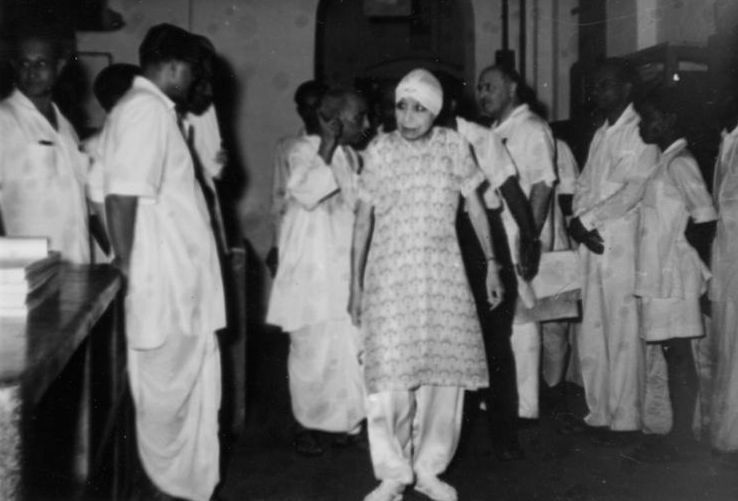 Also seen with the Mother: Amiyo Ranjan Ganguli, Amrita and Nolini Kanta Gupta. Same as above. Also seen with the Mother: Nolini Kanta Gupta, Robi Ganguli, Amrita and Udar Pinto. Same as above. 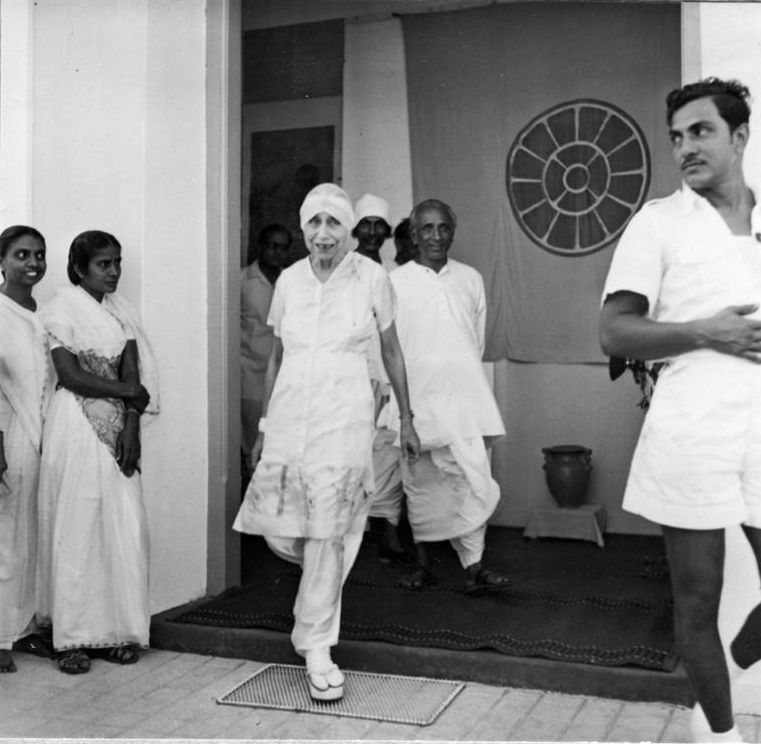 Also seen with the Mother are Dayakar Reddy, Amrita and Amiyo Ranjan Ganguli. Same as above. 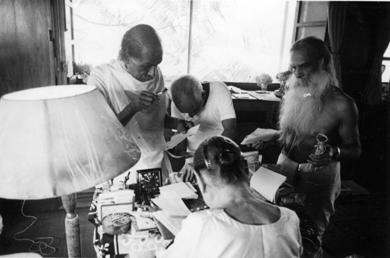 Also seen with the Mother: Andre Morisset, Amrita, Madhav Pundalik Pandit and Udar Pinto. Same as above. 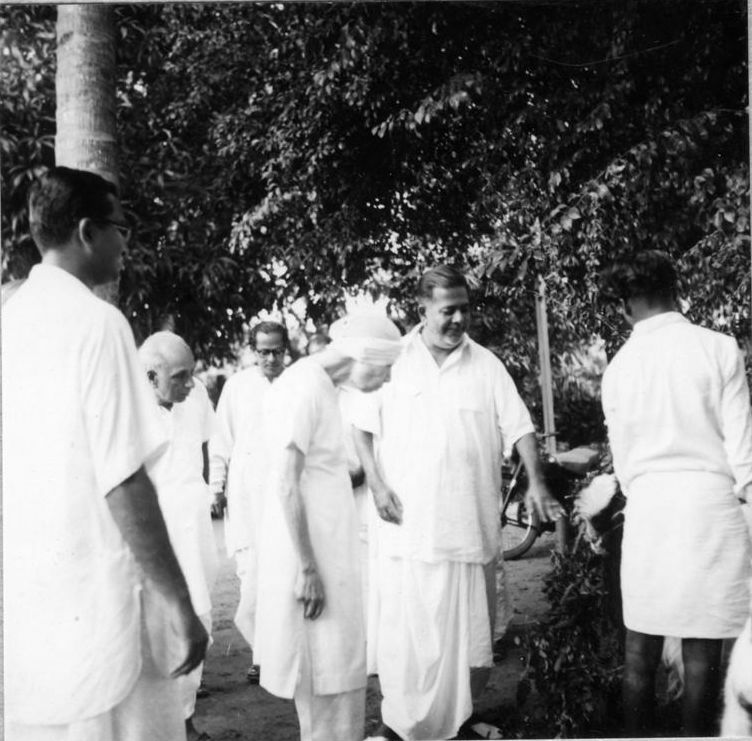 Also seen with the Mother: Vishwanath Lahiri, Amrita, Nolini Kanta Gupta, Pavitra, Amiyo Ranjan Ganguli, Chinu Raghavan, Dayakar Reddy and Parikshit. 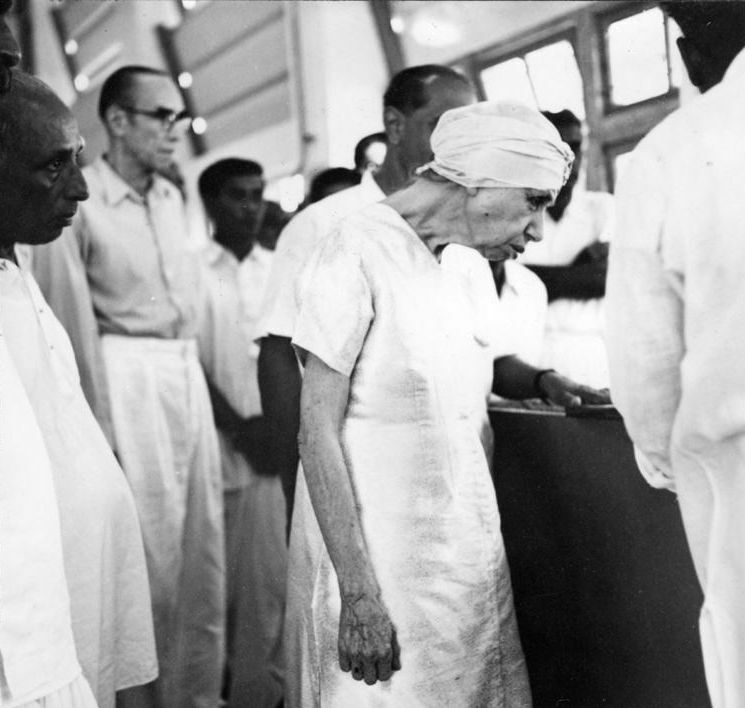 The Mother at Jhunjhun Boarding on 16 December 1961. 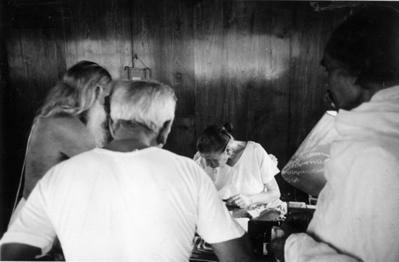 Also seen with Her: Amrita, Pavitra, Nolini Kanta Gupta, Navajata, Pradyot Kumar Bhattacharya, Abhay Singh Nahar and Udar Pinto. Same as above. 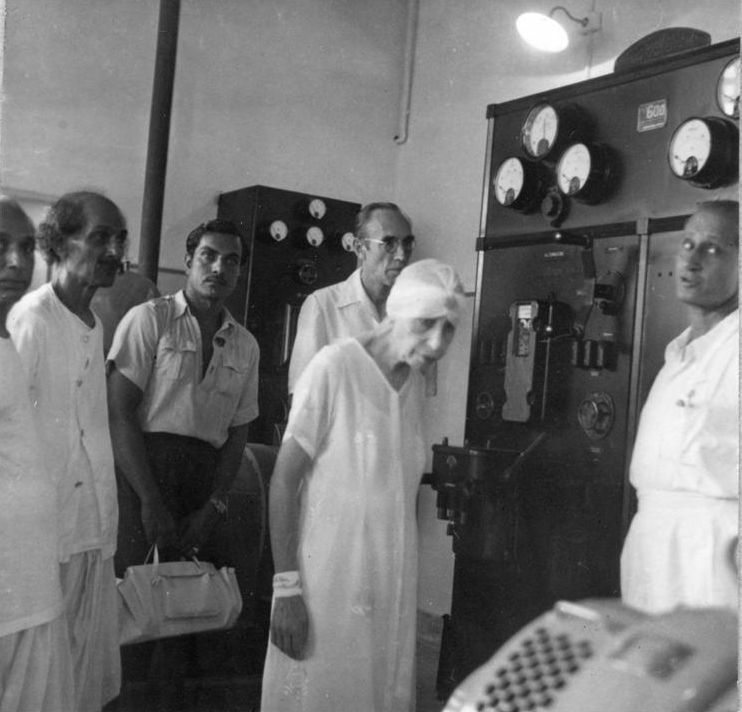 The Mother is seen with K. Amrita, Dayawati Jauhar and Diki. 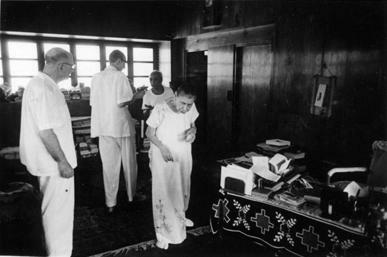 The following photographs were taken on 21 February 1966 in the Mother’s apartments on the occasion of Her eighty-eighth birthday. 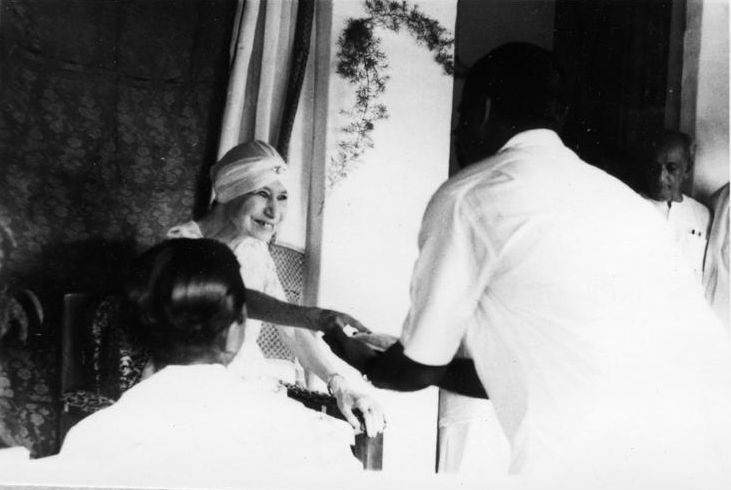 The Mother is seen here with Andre Morisset, Pavitra and Amrita. 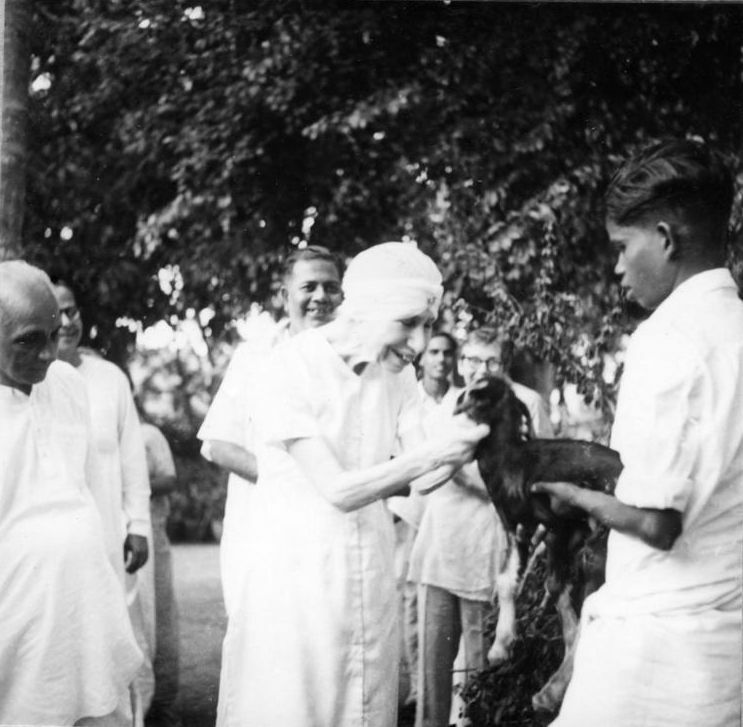 The Mother with Champaklal, Amrita and Nolini Kanta Gupta. 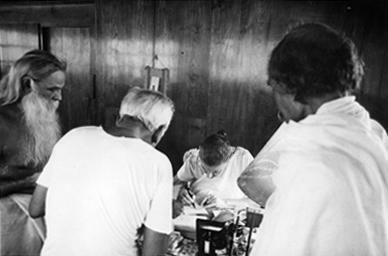 The Mother in Her room with Champaklal, Amrita, Nolini Kanta Gupta and Dr. Prabhat Sanyal. The photographs are riveting. The amazing play of the Divine with the human fills one with awe, wonder and intense delight. One feels transported into an ecstasy, satiating the thirst of the soul. 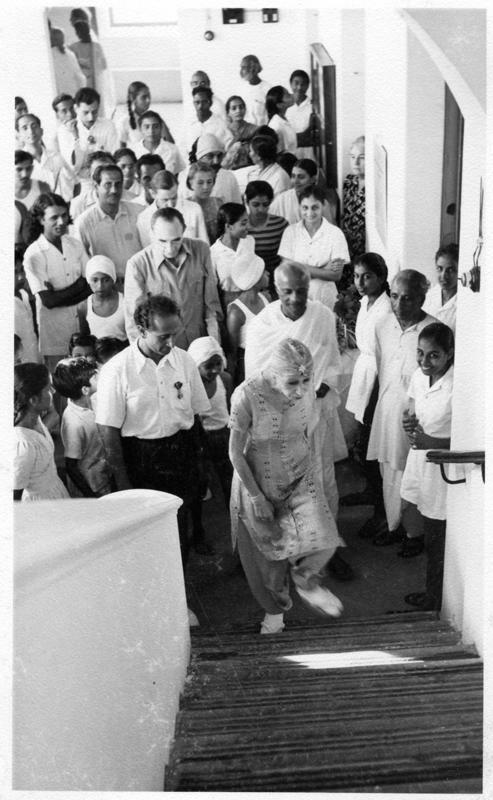 Grateful for sharing the rare photographs showing Amrita along with the Mother. Excellent work! Many thanks for sharing. Wonderful recollections – Amrita – da was truly amruta ! 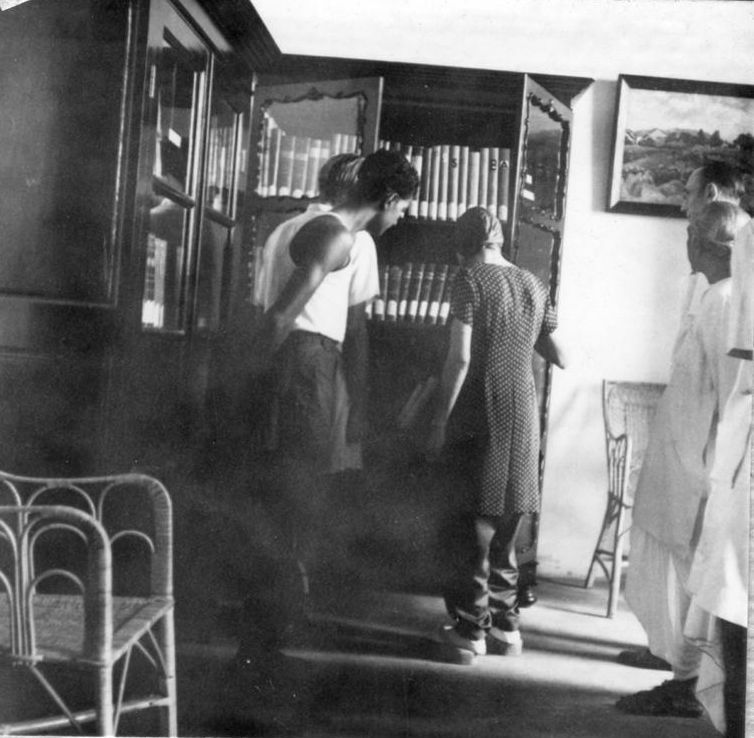 Thanks a lot, Anurag for bringing in public domain such wonderful collections . 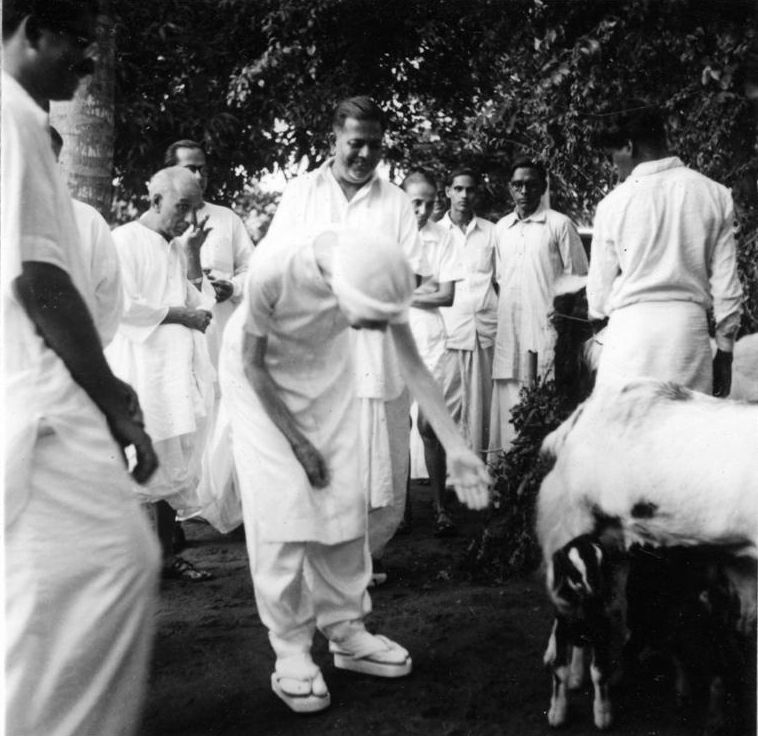 One feels a Divine Presence while viewing each of them. It is worthwhile to recall here the words of Nolini’da in which he refers to a past life of Amrita. 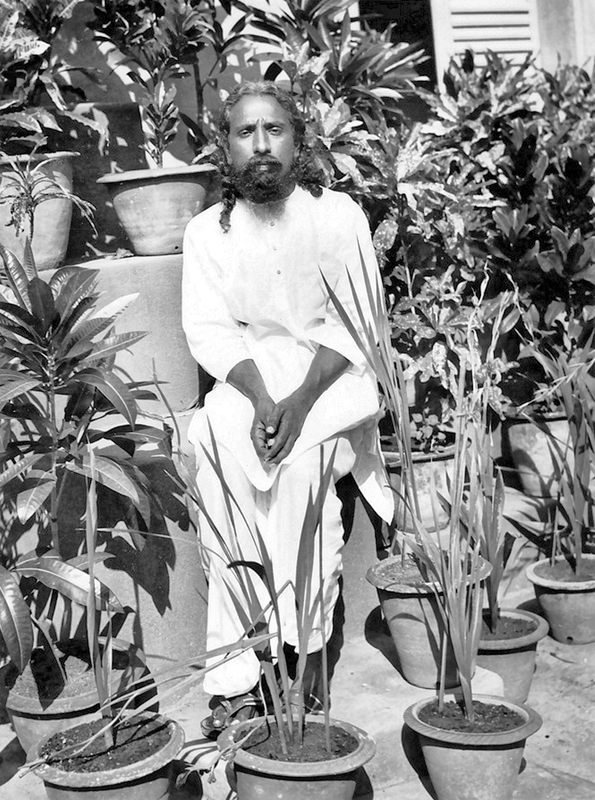 When we look at what Nolini’da has revealed in this recorded talk in the light of Amrita’s boyhood experiences before meeting Sri Aurobindo and his first two meetings with Sri Aurobindo, a deep and unusual truth of undying spirit emerges before our eyes, yes, meeting of Michelangelo and Leonardo da Vinci after several centuries in different bodies, under different names, in different countries and circumstances. “The story is after all the story of our adventure upon earth, a common adventure through centuries – not only through centuries but perhaps from the very creation of the earth. It is the story of the adventure of a group of souls, souls who were destined, who were created for the advent of a new creation. I will speak of only just a few bits and some important episodes of this adventure in which I participated, because you wanted to hear my life. “But all… the work they actually did, you know, the important thing, the consciousness they brought – expressed some sad event, some not so, but living, concretizing the consciousness… My contribution in that age of Renaissance was in France. The Mother always said: “Your French incarnation was very prominent, even today it is very prominent.” That little bit of evolution is still living. 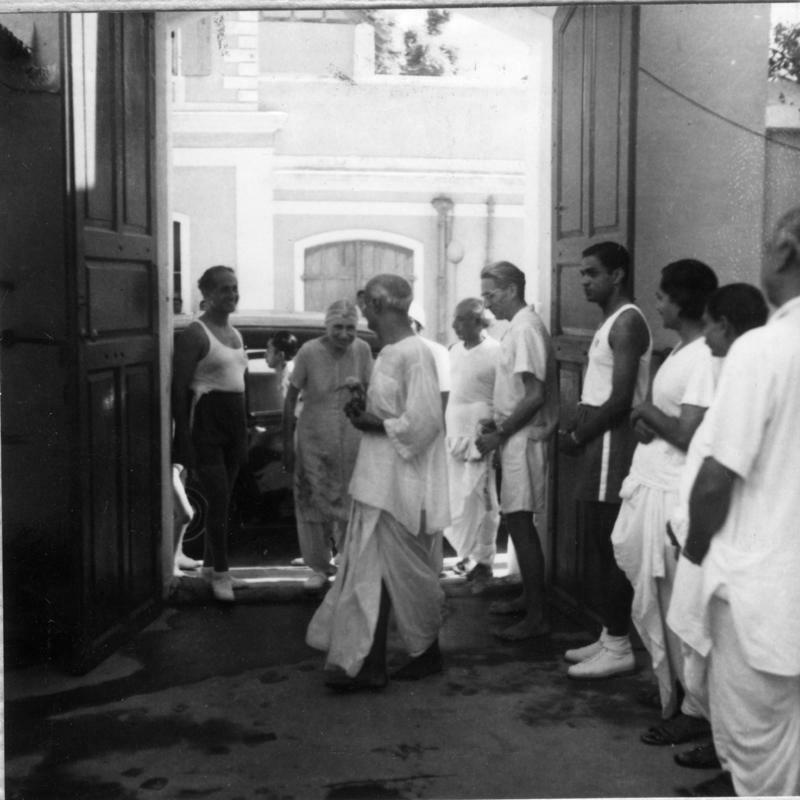 The consciousness at that time in France – that was also the beginning of the Renaissance and… the new creation, new poetry – I was a poet of that time and introduced the new poetry in France. At that time the King of France was Francois I. 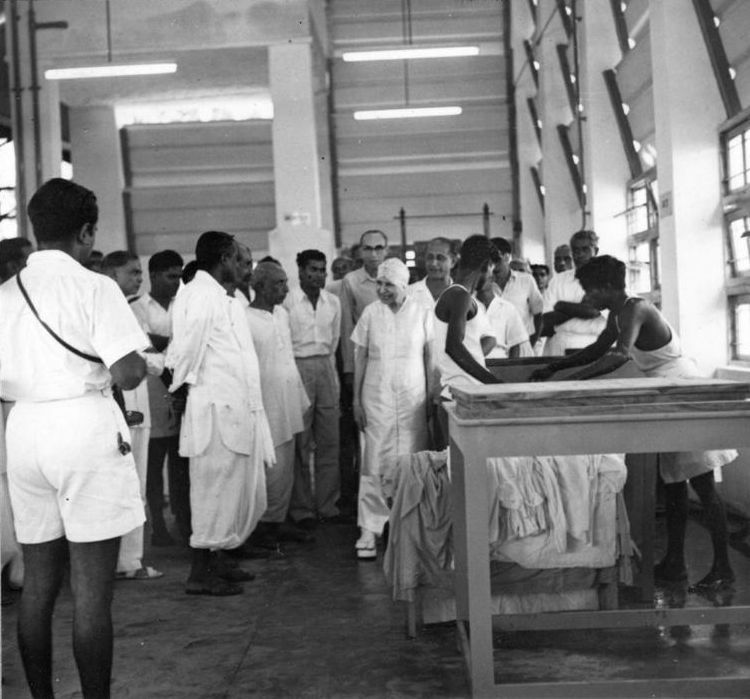 He was in the political – also in the general life of the people he introduced this new light, new manner of consciousness. So I was with him. And who was Francois Premier you know – Duraiswamy! Thank you Very Much for sharing Beautiful Dawn of Light. 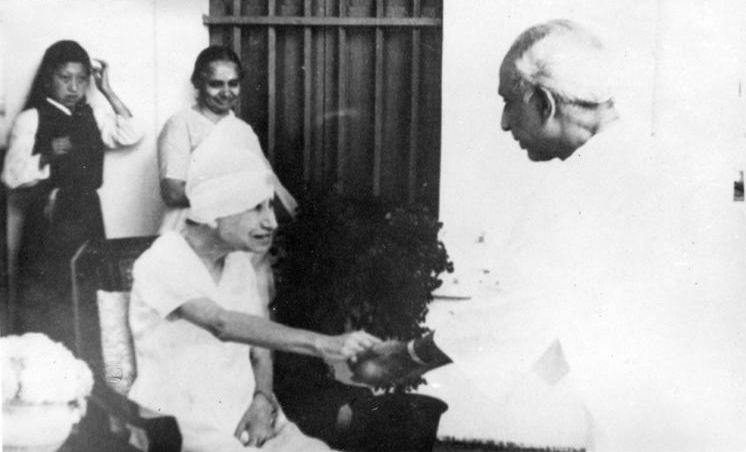 I Request Overman Foundation to Share such Glimpses of Divine Mother and Sri Aurobindo.